Challenge of adolescent male CD-1 mice with a coxsackievirus B3 (CVB3) strain (CVB3m) induces mild to severe destruction of pancreatic acinar cells, but causes no deaths and does not induce hyperglycemia. A weekly parenteral (intraperitoneal) administration of a glyconutritional mixture (Ambrotose® to virus-challenged mice was assessed to determine if there were any benefits to recovery over an eight month period. Virus-challenged mice showed a significant weight loss over the initial five weeks of the experiment, but injection of Ambrotose® to similar virus-challenged mice restored the total body weight to levels found in normal mice. Normal mice given Ambrotose® exhibited a small weight gain. 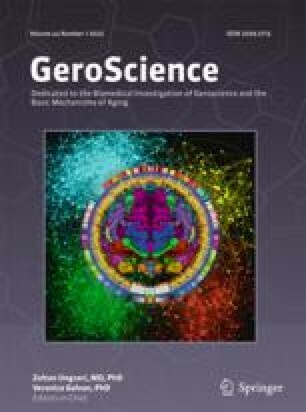 Mice given Ambrotose® showed reduced severity of pancreatitis, as evidenced by significant reductions in percentages of pancreatic acinar cells destroyed and proportion of sections of pancreata with destroyed acinar cells, compared to virus control-mice not injected with Ambrotose®. Statistical analyses of the extent of acinar cell pathology in all virus-challenged mice showed that Ambrotose® contributed significantly to recovery of the acinar cell population in virus-inoculated mice. Anti-viral antibody titers were not affected by Ambrotose® injections. One potential mechanism to explain the benefits derived from Ambrotose® injections came from studies of antioxidant levels of glutathione in splenic macrophages/monocytes. Whereas CVB3 challenge of mice reduced glutathione levels in the latter cells, Ambrotose® injections to virus-challenged mice restored glutathione levels to those found in normal mice. In summary, most but not all mice derived benefits from Ambrotose® injections, i.e. a reduction in pathology in the pancreas and restored levels of the antioxidant glutathione in macrophages/monocytes. Higher doses of Ambrotose® could provide greater benefits for more mice, a study for the future.